ORLANDO, FLORIDA – Mia Yim has signed to compete against fellow Mae Young Classic competitor Santana Garrett in just 2 weeks at MLW: One-Shot at Gilt Nightclub in Orlando, FL on Thursday night October 5th. Following 2 dominating rounds in the Mae Young Classic, Mia Yim looks to showcase her explosive striking and aerial ability as she takes on the modern day Wonder Woman, Santana Garrett. Will we see Mia use her trademark SkyYim (corkscrew moonsault) or will Santana prove to be too much for the talented veteran? Find out as Major League Wrestling returns on October 5th at Gilt Nightclub. Also signed to compete include: MJF, Jason Cade with several more matches showcasing today and tomorrow’s best wrestlers to be announced in the coming days and weeks. 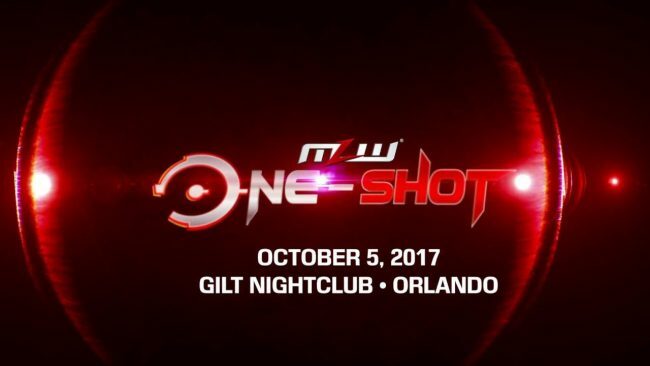 MLW: One-Shot will be available within 72 hours of the event occurring on October 5th with Rich Bocchini and Tony Schiavone calling the action. Learn more about MLW.tv at: http://www.MLW.tv. Buy tickets to MLW: One-Shot today at http://www.mlw.eventbrite.com. Learn more about MLW.tv at: http://www.MLW.tv.